The power of focus can allow us to do some pretty incredible things in this life. It can allow us to really attain all that we want. It is choosing a lane and going hard on it. It lets us drive forward on a road that leads to our ultimate destination. And if we stay on that road and don’t get distracted by turnoffs and signs, we arrive fast and effective at our preferred destination. 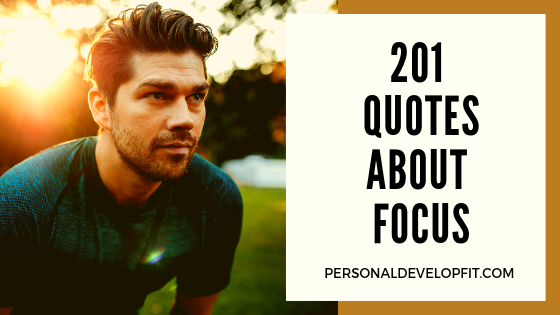 These quotes about focus below remind us how powerful focus is. And how we can better use it in our lives. To attain our hearts desires. And create a life that we are proud of. So there we are my friends. 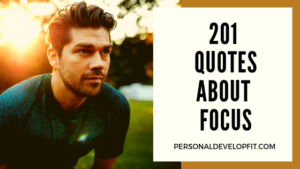 Quotes on focusing. I hope you found some quotes that really moved you and resonated with you. Share with me what your favorites are. As well as if you have any stories on when you used focus to really create and get what you want out of this life! Let’s talk about the power of focus in the comment section below.